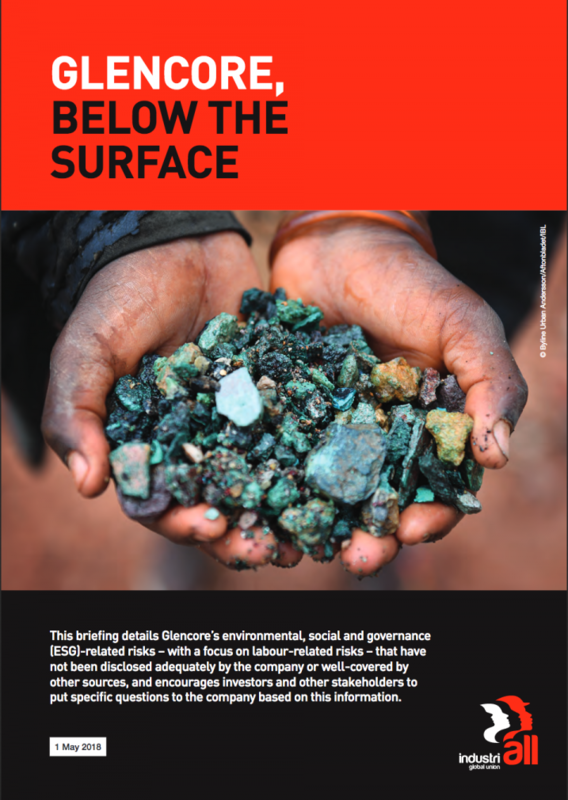 Global union IndustriALL has published a briefing on Glencore to coincide with the company’s AGM in Switzerland today, 2 May 2018. The briefing details Glencore’s environmental, social and governance (ESG)-related risks – with a focus on labour-related risks – that have not been disclosed adequately by the company or well-covered by other sources, and encourages investors and other stakeholders to put specific questions to the company based on this information. The union also released a pre-AGM investor briefing to warn investors of sustainaility risks at Glencore.